Do you know this famous poster saying Keep Calm and Carry on, in big white letters on a red background, with a pretty crown ? 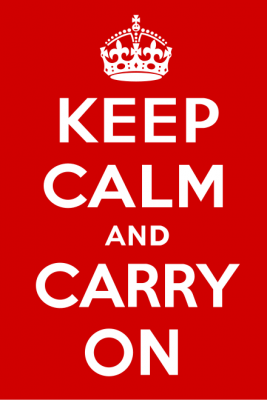 Keep Calm and Carry On is a motivational poster produced by the British government in 1939 in preparation for World War II. The poster was intended to raise the morale of the British public, threatened with widely predicted mass air attacks on major cities. Although 2.45 million copies were printed, and although the Blitz did in fact take place, the poster was hardly ever publicly displayed and was little known until a copy was rediscovered in 2000 at Barter Books, a bookshop in Alnwick. It has since been re-issued by a number of private companies, and has been used as the decorative theme for a range of products. We often find this poster with the message and the design totally transformed … It goes from philosophical messages related to Personal Development (Be unique, Believe in your dreams, Go forward, etc …), to messages including references to popular culture and Internet “memes” (Star Wars, Unicorns, Cats …). 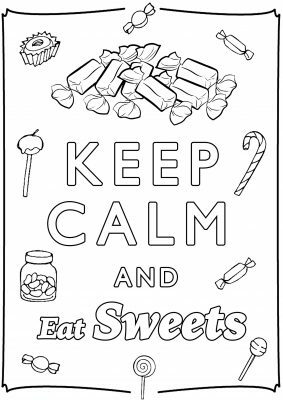 We decided to create our own “Keep Calm and …” posters, with some messages that seemed to be inspiring, accompanied by original and simple visuals. Of course, all these designs can be … coloured ! 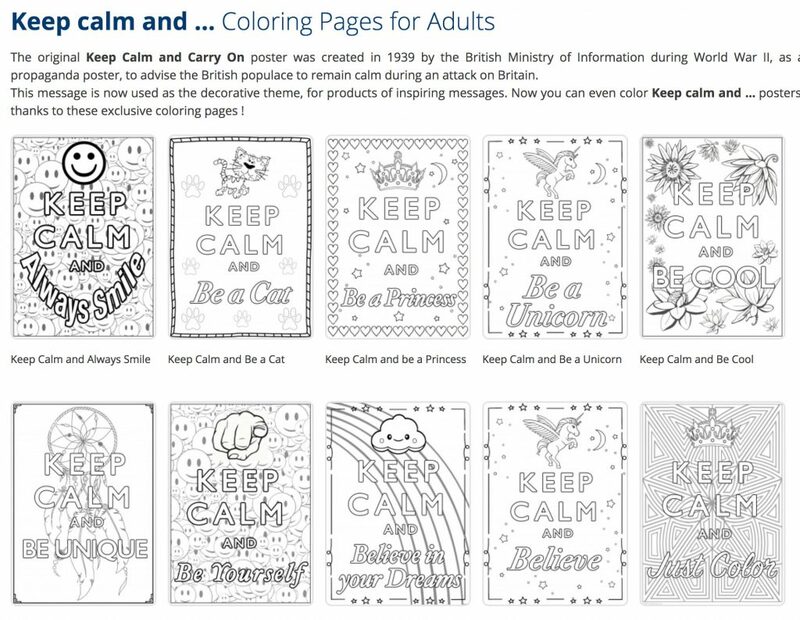 You will find these new colorings in this gallery. Giant and collaborative Coloring page !